Even though directors are in charge of creating movies, selling those movies to people is usually none of their business. Sometimes that can have consequences, like how the “Bohemian Rhapsody” trailer for Suicide Squad reportedly led to a rewrite of the movie’s tone and structure. In other cases, it can actual spoil your biggest reveal—something Kingsman: The Golden Circle director Matthew Vaughn knows all too well. 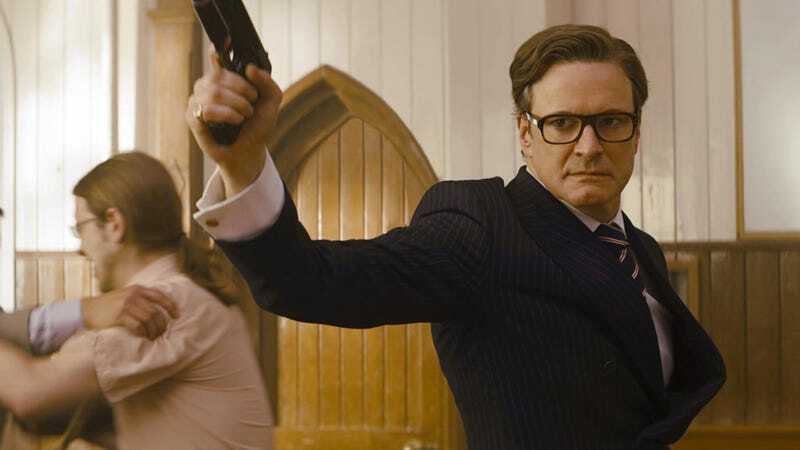 In an interview with IGN, Vaughn called it “stupidity” that the trailer revealed Colin Firth’s Harry Hart was actually alive, even though he’d been killed in the first Kingsman movie. And it wasn’t an ambiguous, never-found-the-body kind of death—he was shot in the face. So bringing him back for the sequel was obviously going to be a big deal, and one that Vaughn wishes would’ve been kept out of the promotional material. I begged the studio not to reveal it. Because it’s the whole driving force of the first act and if you didn’t know that scene it would’ve made the whole audience gasp. So you have to ask the lovely marketing guys because I think their job is to open the movie and don’t really care about the experience of the movie. Vaughn added that he plans on being far more involved in marketing for his movies in the future, which seems like the best lesson to take away from all of this. Kingsman: The Golden Circle is in theaters as of today, along with Colin Firth.